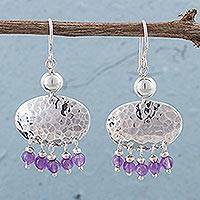 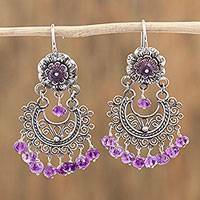 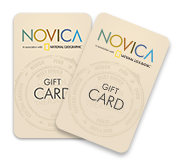 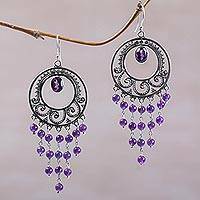 Enjoy exploring NOVICA’s elegant collection of amethyst chandelier earrings, perfect for adding a touch of glamour to any ensemble. 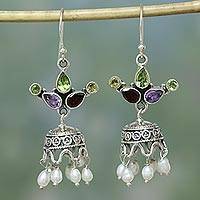 Handcrafted Multigemstone Indian Chandelier Earrings, "Wondrous Colors"
Enjoy browsing a gorgeous selection of violet gemstone-embellished jewelry from all over the world in our amethyst chandelier earrings collection. 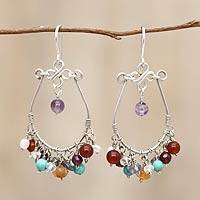 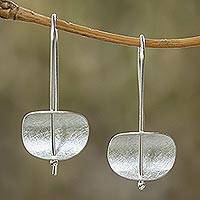 Chandelier-style earrings create a beautiful face-framing effect that looks perfectly elegant with any hairstyle or outfit. 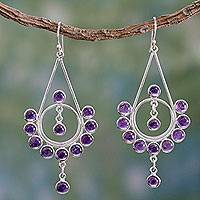 Find the pair that speaks to your sense of style as you browse an impressive selection of amethyst earrings sterling silver and gold. 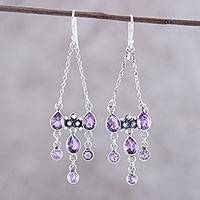 Widely recognized as February’s birthstone, a pair of sterling silver amethyst chandelier earrings is a brilliant gift idea for February birthday girls or those from any other month for that matter! 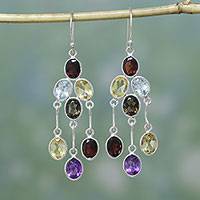 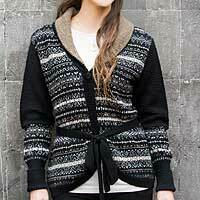 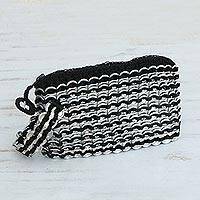 We hope your pick from this regal collection serves as a constant reminder of the international artisan who handmade your lovely new piece each time you wear it.